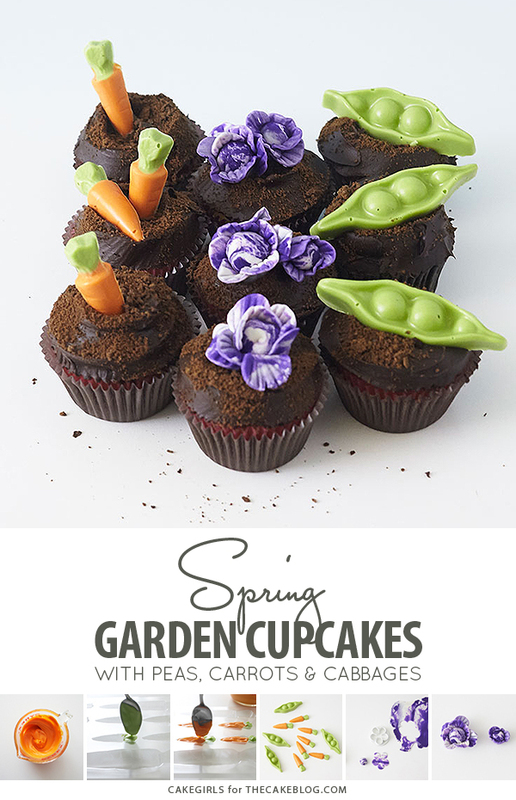 Garden Cupcakes – learn how to make these spring garden themed cupcakes with a simple step-by-step tutorial by our contributors, Mary and Brenda Maher of Cakegirls. There’s just something about spring. That fresh, post-winter smell is in the air, the buds are just beginning to sprout and the birds are singing. The sun hangs a little longer in the sky and all I can think about is switching out those clunky winter boots for a pair of flip flops and gardening gloves. Well, it only seems fitting to capture that whole reenergized feeling in cupcake form, and just in time for your Easter or springtime get togethers. These cupcakes are deceptively simple. 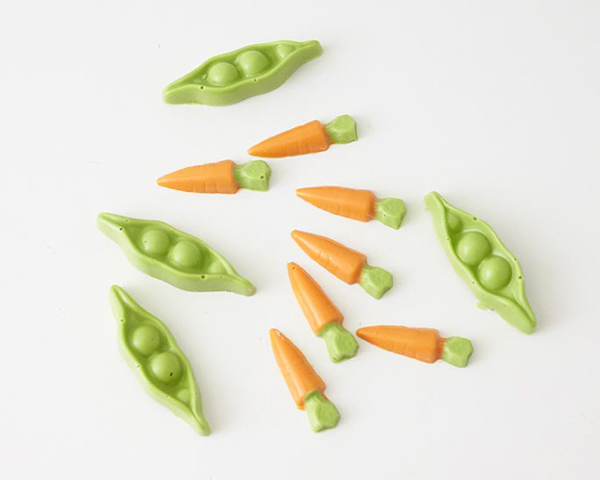 We made the carrots and peas using chocolate molds and melted candy coating and then spent a little more time crafting the cabbages. 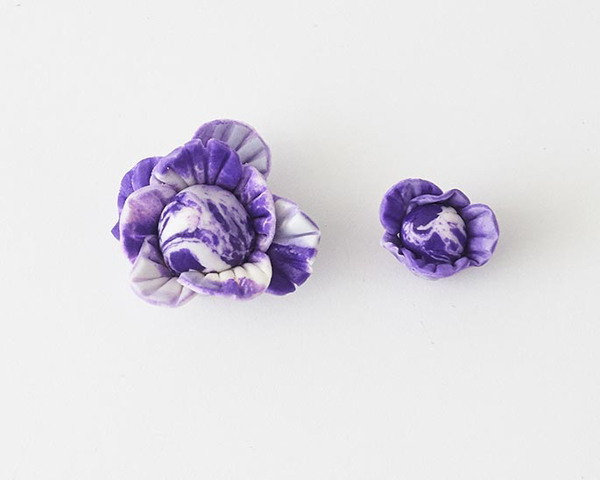 A simple set of flower cutters make the ruffled leaves of the cabbages come to life and marbleized purple and white fondant give them an air of realism. The best part is that these little bite size veggies can be made several days ahead, stored in snap lid container, in a dry cool place, and then placed on freshly baked or store bought cupcakes when ready. 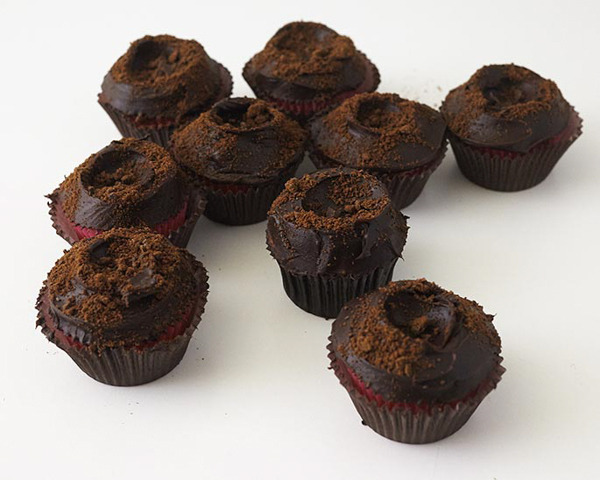 Use your favorite chocolate cupcake recipe and then sprinkle with crushed cookie crumbs to mimic garden dirt. 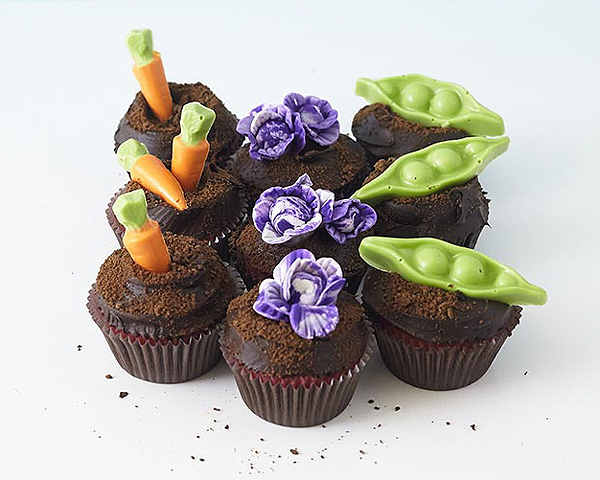 With these cupcakes, you’ll have no problem eating all your veggies. 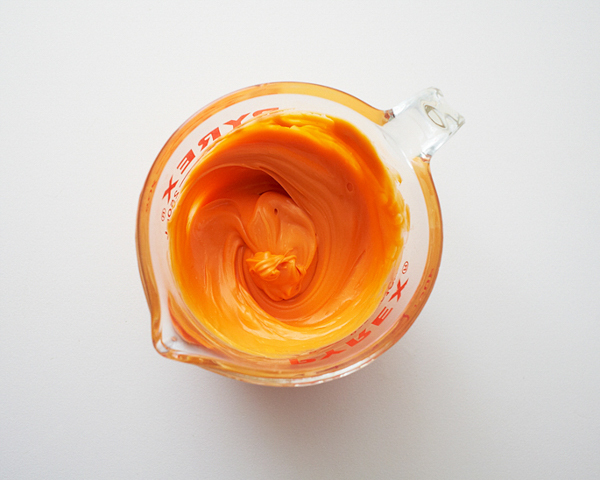 Heat the orange candy coating in the microwave on half power. Remove and stir every 30 seconds, until completely melted. Repeat this process with the green candy coating. Carefully spoon a little green coating into the top of the mini carrots in the chocolate mold. Place the mold in the fridge for 5-10 minutes until the green coating is firm. Fill the remaining part of each cavity with orange candy coating. Tap the mold on the counter a few times to remove any air bubbles and then place in the FREEZER this time for 5-10 minutes until very firm. 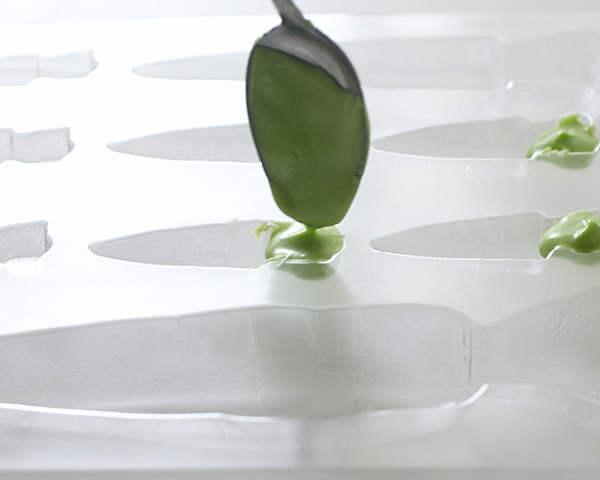 Fill the pea pod chocolate mold in the same fashion using only the green candy coating. Tap on the counter to remove any air bubbles and place directly in the freezer. 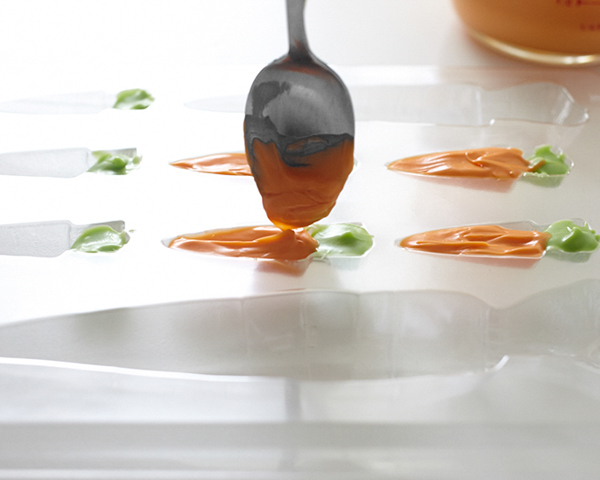 Once molds are solid and very firm, flip and pop the peas and carrots out. NOTE: these can be made several days ahead. Store in a covered container in a cool dry place until ready to use. Lightly knead together some white and purple fondant. Make sure to leave it streaked and marbelized. Pinch off a gumball size piece of fondant and create a ball. 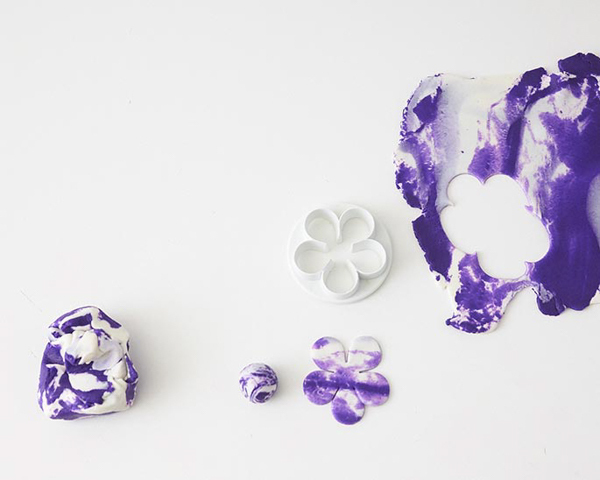 Then roll out some fondant with a rolling pin and use the largest 5 petal cutter to cut out a flower shape. 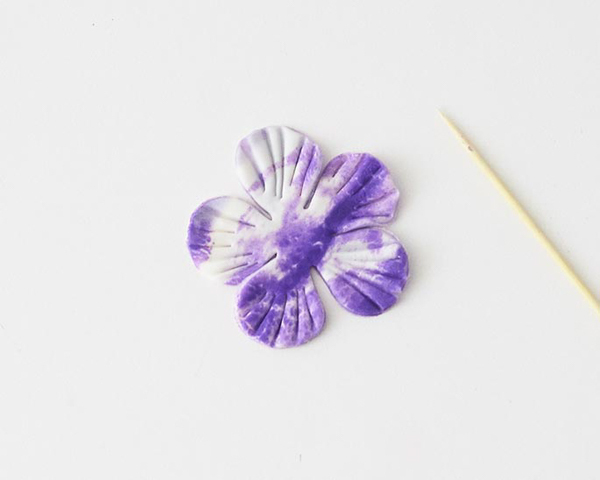 Use a toothpick and press indentations in the petals of the flower. Brush a little water on the flower and wrap it around the ball to create the cabbage. Create an additional flower and use just a few of the petals to add to the cabbage to make it look more natural. Make various size cabbages by making smaller balls and using the smaller sized petal cutters. Bake your cupcakes in brown liners and top with chocolate icing. Leave a dent in the center where you will place the veggies. Sprinkle the tops with chocolate cookie crumbs. Place the veggies on top and voila! 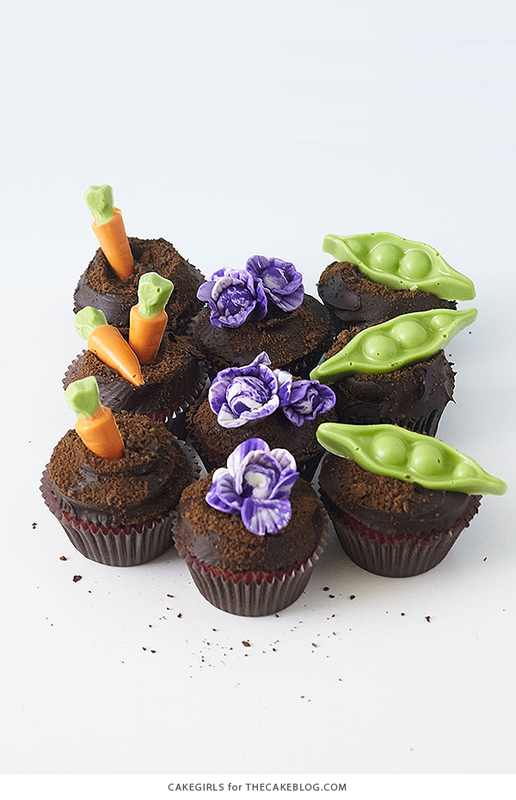 You have yourself some vegetable garden cupcakes! I’m one of your fans now. You got beautiful cupcakes right there. Thank you for the tips.